iPad in hand, Bob Chaffee sits in an easy chair and scrolls through a list of past VHC Fall Conferences. He and his wife of 55 years, Mary Ann, try to identify the first Fall Conference they attended. They eventually decide that it must have been in 1981, when the year’s topic was “Education and Freedom.” Remarkably, they haven’t missed a single conference since. Both Bob and Mary Ann are retired high school teachers. 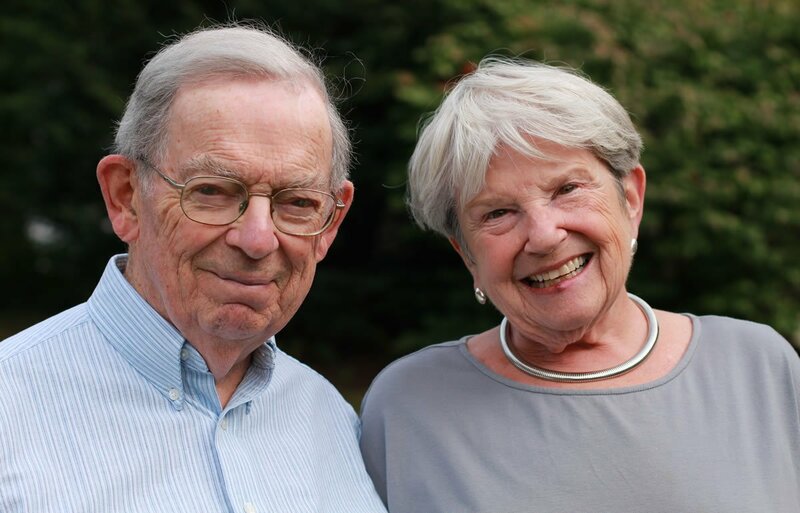 She taught Latin and French at Essex High School, while Bob taught math at South Burlington High School. Mary Ann served on the VHC board from 1982 to 1992, including two years as board Chair. Weather mishaps aside, they speak fondly of what they learned at the conferences, including the lessons gained from the texts that attendees were assigned to read beforehand. Bob recalls especially enjoying the readings for 1988’s conference, “History, Myth, and the Invincible Armada.” Mary Ann says one of her favorite conferences was “American Voices” in 1995, when an expert on Emily Dickinson spoke. “You just get the goosebumps at some of these talks,” Mary Ann says. The couple note that they signed up for this year’s conference about leadership “almost immediately,” and that what the conference does for attendees is crucial, especially today. “It seems to me that you always have to be reading, learning, experiencing, and opening your mind,” says Mary Ann.